Feeling Thankful for Another Great Year at Buckley Fence! 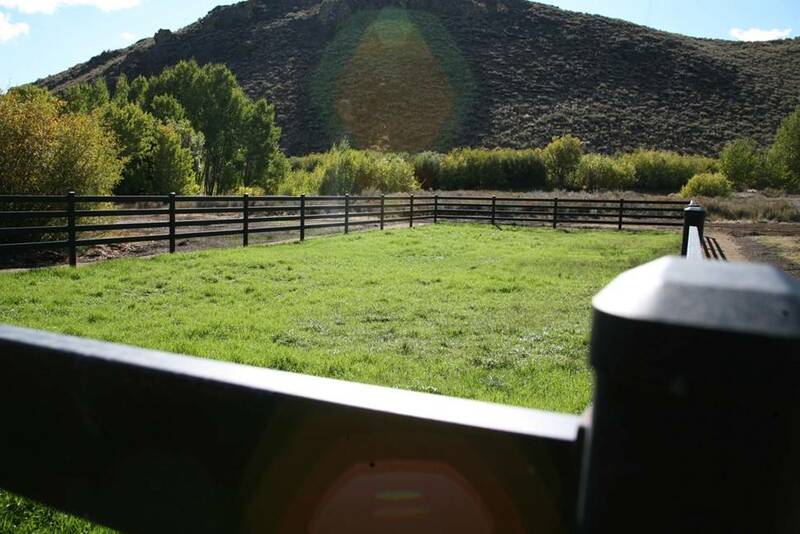 By every measure, 2011 has been an outstanding year for Buckley Fence and our customers. We had a 30% increase in sales and provided some fantastic new opportunities for many fence installers who installed the Steel Board Fence for the first time. We gained new customers thanks in large part to customer referrals. One resulted in a 13,000 foot installation of our White Steel Board Fence on a large professionally landscaped project near Salt Lake City, Utah. 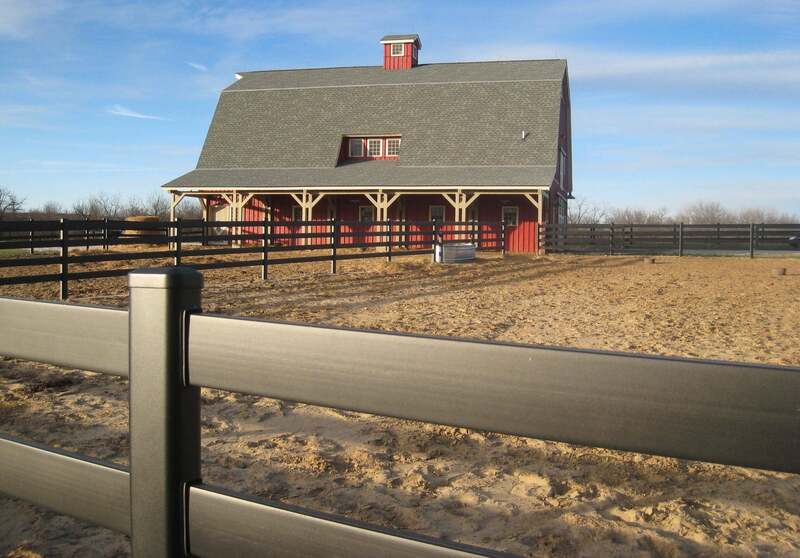 Another 3,000 foot installation of our Black Steel Board Fence was completed in the Omaha, Nebraska area on a professionally designed ranch property (see photo below). A custom color was ordered on a 5,000 foot Steel Board installation in Sierra Vista, Arizona after fires destroyed the previously installed vinyl fence. Watch our website for pictures coming soon. 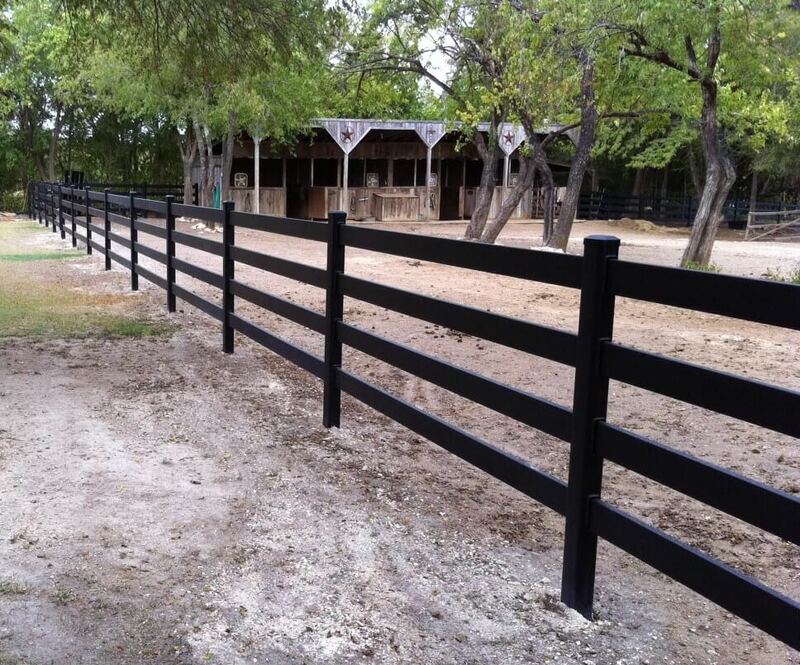 Whether it’s the horse enthusiast or fence professional, word is starting to spread about our Steel Board Fence and we are very thankful for the referrals. Black Steel Board on professionally designed ranch near Omaha, NE. Photo courtesy of Cramer Kreski Designs. Black Steel Board in Sun Valley, ID. Photo courtesy of Jim Cannavino. We are very thankful for the great pictures our customers provide and gladly post them on our website. Check out the photo gallery for more. We established relationships with a number of new installers during the year throughout North America and Canada and look forward to building our relationships with them to grow our businesses together in 2012. We anticipate opening up opportunities internationally as well including Australia, Ireland and other Eastern European countries. 2012 holds the promise of many new opportunities for Buckley Fence and our customers. Black Steel Board installation in Waxahachie, TX. Photo courtesy of Mayfield Fence. We attended Equine Affaire in Columbus, OH and W. Springfield, MA and Midwest Horse Fair in Madison, WI. It’s always a pleasure meeting horse enthusiasts and the vendors providing related products and services. We make new friends and learn something new every time! 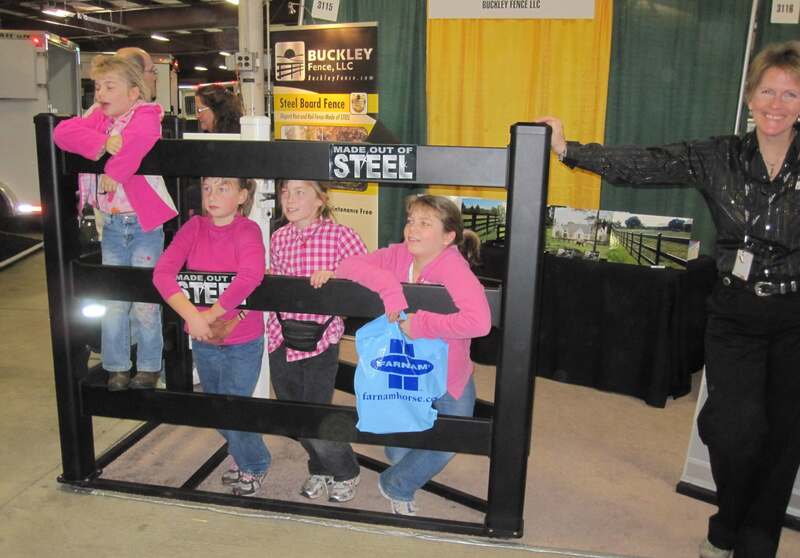 Since it has been such a great way to introduce our Steel Board Fence, we plan to add more to the list in 2012. Exhibiting at Equine Affaire, West Springfield, Massachusetts. We have a lot to be thankful for and we are! We wish you all a Merry Christmas and Happy Holidays! If you’re on the fence, make 2012 the year you get off! Just give us a call or send an email when you’re ready! Patty and Jim Buckley P.S. 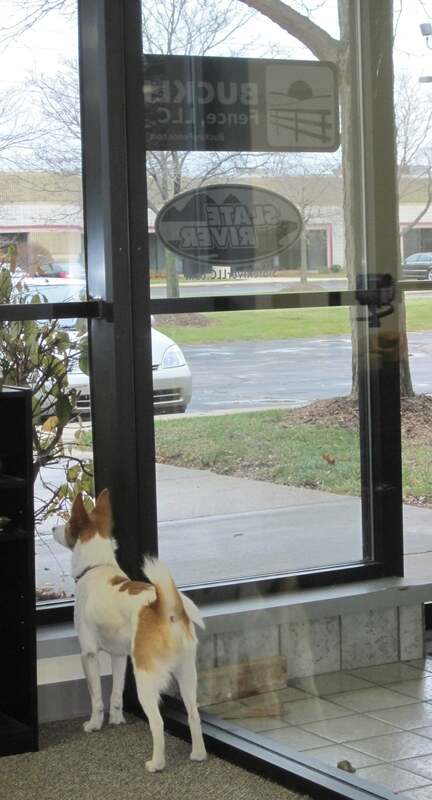 We have a new addition to our staff. She’s Lexie, a Nordic Spitz and our official Buckley Fence greeter. She affectionately barks so please don’t be alarmed if you hear her in the background. She’s just saying hello!